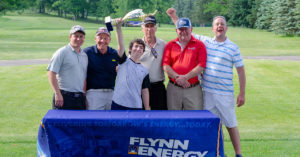 Towanda, PA –Year after year, Flynn Energy hosts a golf tournament at Towanda Country Club to help raise funds for a local in need. This year, it was Mason Barto’s turn. 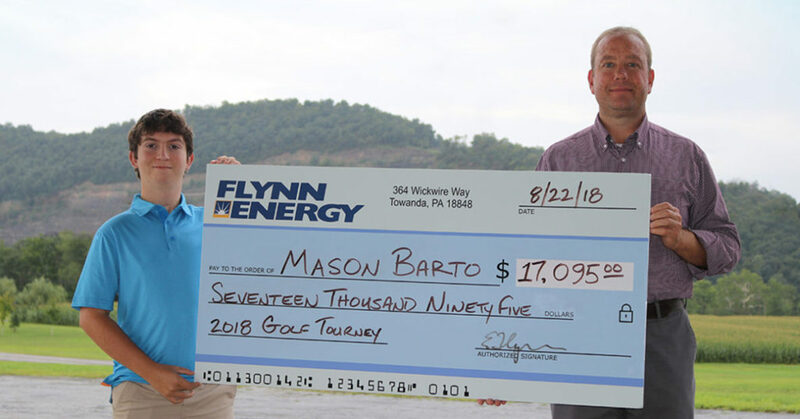 Flynn Energy, located in Towanda, PA, announced today that its eighth annual charity golf tournament raised $17,095 to help Mason and his family fight congenital disorder of glycosylation (CDG). Diagnosed at a young age, Mason’s will to live has seen him to the age of 17—and he plans on doing a lot more living. The tournament was put on to do just that. Each year, the Barto’s travel to see specialists—an expensive endeavor for Mason to receive the best possible care. Funds raised at tournament will help cover those costs, and ease the financial burden on the Barto family. This years’s winning foursome was Beer’s Auto– its prize winnings were donated back to Mason by Cargill, a tournament sponsor. Visit our tournament recap to see a full list of winners from the tournament. In its eighth year, Flynn’s annual golf tournament has become a hallmark event in the Towanda community. 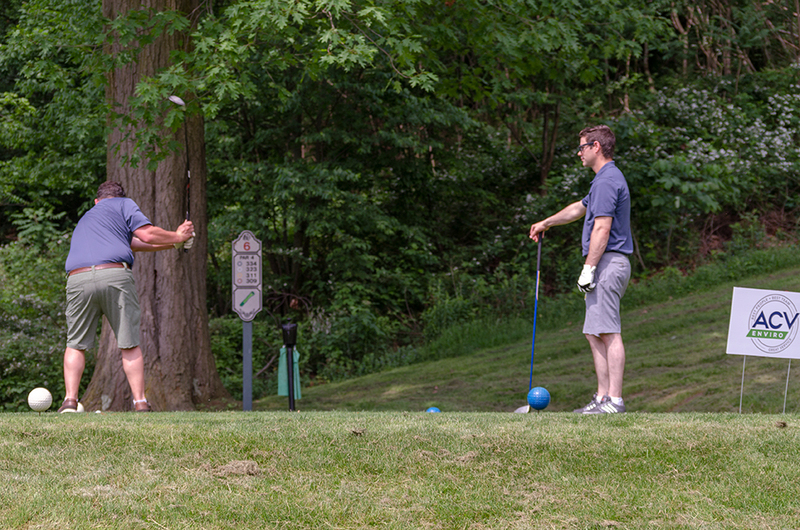 Each Summer, businesses and associates of Flynn Energy gather in the spirit of giving and competitive golf to help raise money for a local in their community. The result has been over $110,000 raised and donated. It’s a remarkable, humbling experience. Last year, Flynn raised over $16,000 for Ainsleigh Carrington, who was diagnosed with Hemolytic Uremic Syndrome. A recipient for next year’s tournament will be announced next Spring.